Fan seems to be least thrilled with the 100th appearance of This Arsenal star for the club today. 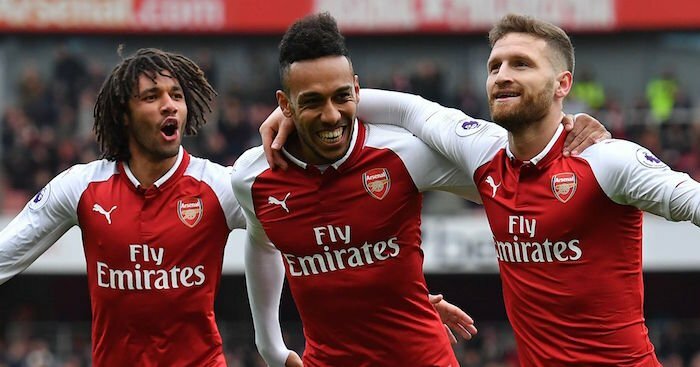 The Gunners took on Huddersfield this afternoon with some key players missing from their squad, including Pierre-Emerick Aubameyang and Mesut Ozil due to illness says some reports. But Mustafi started at the John Smith’s Stadium at the heart of Arsenal’s defence alongside Laurent Koscielny, where Arsenal won 2-1. 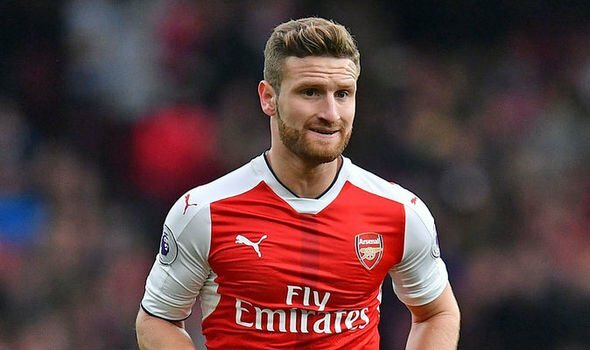 Arsenal star Shkodran Mustafi is making his 100th appearance for the club today but Arsenal supporters aren’t thrilled with that statistic. 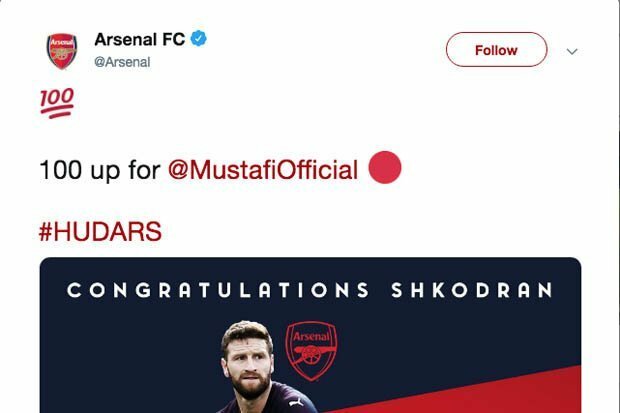 The club’s official Twitter account shared the news of Mustafi’s appearance achievement earlier today, posting a tweet captioned: “100 up for @MustafiOfficial. #HUDARS.” But the fans weren’t thrilled about the fact that the defender has featured so many times in north London. 100 too many,” responded THREE fans. “ Mistakes leading to goals?” asked one. “This is probably something to keep quiet,” one said. “Just delete this man,” another wrote. How do I say this politely??? he’s s*** – how has he got 100 appearances?” one added. Truly amazing. In fact remarkable….for all the wrong reasons!! !” said another. Mustafi’s former international team-mate Ozil has been left out the matchday squad this afternoon due to illness. The midfielder has featured just once since Boxing Day, playing 76 minutes in the 2-1 win over Cardiff last month. “It will be difficult. Each match is difficult and they are going to play for the possibility of continuing in the Premier League. Their last result was not good but with their new coach I’m sure on Saturday they’ll play with big ambition and performance. The Gunners are preparing to face Huddersfield tomorrow. Ozil has played only twice since the start of 2019 while Aubameyang is also missing today. Mustafi goal scoring record is not very well while every club is struggling to keep themselves on the title race and giving chance to Mustafi right at this moment fumed up the fans.